The materials you choose during your home's construction will have a lasting impact on the environment. Knowing how to incorporate environmentally friendly options into your materials list will help you to reduce your ecological footprint by using less nonrenewable resources, contributing less to landfills, and consuming less energy in the process. According to the U.S. EPA, construction activities account for almost 60 percent of the raw materials consumed in this country, other than food and fuel. The construction industry also contributes 170 million tons of waste to landfills each year. The most environmentally friendly materials will always be those that have been spared from a trip to the landfill. Reclaimed materials do not consume any new products and do not contribute to waste disposal pollution such as groundwater contamination or greenhouse gas emissions. Some materials that are commonly found include structural lumber, flooring, bricks, metal work, and cabinetry. Some materials are highly sought after such as marble, antique doors and trim, some types of lumber, and antique fixtures. More and more demolition companies are using deconstruction techniques to salvage materials rather than going straight for the bulldozer making reclaimed materials easier to find. If you are unable to source reclaimed materials for your home, the next best thing is to use materials that are grown and harvested sustainably. Wood is still the most common home-building material; therefore it is essential to source new wood from responsible manufacturers. Most hardwoods take decades to reach maturity and high demand can cause them to be cut faster than they can be replaced. The Forest Stewardship Council is an international organization charged with the sustainable management of forests and woodlands. Their logo on a product means that the product meets international growing and harvesting standards and that the product manufacturer has concern for the environmental impacts of their activities. Speaking of sustainably harvested materials, have you considered using bamboo for your flooring instead of wood? According to Bamboozle, “bamboo grows incredibly quickly (up to 1 foot per day) and the plant still continues to grow after being harvested.” So, by using bamboo flooring in your home, you are impacting the environment much less than you would with hardwood flooring, even if that hardwood is sustainably harvested. On top of that, bamboo's installation is faster, easier, and cleaner than hardwood or even carpet. They are also easier to clean and even more durable. Although having a stylish roof is always a plus, “cool roofing” is an industry term that describes roofing materials that are heat-reflective. Almost all conventional roofing materials can be made “cool”: asphalt, metal, slate and tile. The difference is in the additives or coatings to make them lighter in color and give reflective properties. The EPA reports that cool roofs do deflect some heat gain that might be desired in the winter, but for most climates the energy savings from reduced cooling still results in overall energy savings. Traditional concrete relies heavily on energy and nonrenewable resources. However, newer compilations significantly reduce carbon dioxide emissions and make use of industrial waste from coal burning and iron production. Concrete can also be mixed with recycled materials including glass, granulated plastics, old tires, and other discarded materials instead of new sand and gravel. One concrete application that is making a comeback is insulating concrete forms. Concrete is poured between two layers of insulation to form walls and other structural pieces in a building. Because it is unseen it can contain any number of recycled materials. There are many opportunities to include environmentally friendly materials in the home building process. From the foundation to the roof, and everything in between, reclaimed and recycled materials can be used in all areas of the home and new materials can be sourced from manufacturers that use sustainable methods. Once the home is built, be sure to refocus your environmentally friendly efforts on the interior: paint, appliances, utilities, and more. Nicole is a writer for the green living industry. She loves helping others understand the current dillemma our environment is facing, as well as ways to lessen our environmental footprint. Many people simply know it as the best search engine, but not so many are aware of Google’s latest Green Energy Project or their previous Project Loon. Well, they may not be dealing with rocket science or Particle Physics, but when it’s a matter of green energy from Google, more and more people would definitely be keen on the part of the story that explains how the technology works. Google X, Google’s innovation unit is currently working on a green energy project that is bound to make a significant change in energy production in the near future. Google has recently partnered with Makani Power, a wind-power company based in California, to develop a slightly new and cheaper way of generating wind power. Though the project still focuses on wind energy in general, Google X found an innovative way of reducing the costs incurred in setting up wind turbines. What Is The Main Idea Behind It? They do this by allowing the wind turbine’s blades to circulate in free space while attached to a long tether which holds the blades in space. This, however, is merely the basic mode of its operation. In reality, the Google’s Green Energy Project uses complicated robotics to generate the desired electricity. While speaking at the Cannes Lions Festival of Creativity, Astro Teller, the captain of Moonshots for Google X, revealed that acquiring a single wind turbine would also burden you with 300 tons of steel. However, you only get power from the tips of the blades that circulate in air, and so the 300-ton steel is indeed dispensable. Teller went on to say that: “If you acquired a long tether which you would use to attach to the blades, you can still generate power by relying on this tether.” Surprisingly, this technology already exists, but it is new in the wind power generation. Why Green Energy Project is Better? Harnessing the power of wind turbines without the 300-ton structures might seem far-fetched, but Google X maintains that instead of using the massive structures, they can use blades similar to mini airplanes which are launched into the air when the speed of wind is strong enough to support their flight. The blades then remain tethered to the ground, similar to the way a kite operates. Consequently, there will also be more free space on the wind power farms since the steel structures would be out of the picture. Astro Teller believes that the project will become a success and it will open a path to cheaper wind-energy production. This is because the new improved wind turbines will be fairly easy to deploy than the traditional wind turbines. Compared to their recent project, Project Loon, which was aimed at bringing Wi-Fi to the remote regions in Africa, the Green Energy Project is bound to receive much more appraisal since it may slightly reduce the cost of electricity in countries that harvest wind energy. Implementation, however, is not going to turn around in the next month, but judging by the fact that it was Google X that came up with the Google Glass and they currently own Makani Power, it is rather difficult to predict what’s on their calendar. With Astro Teller’s collection of “Peter Pans with PhDs” working on the project, you can bet things will turn out much faster than expected. 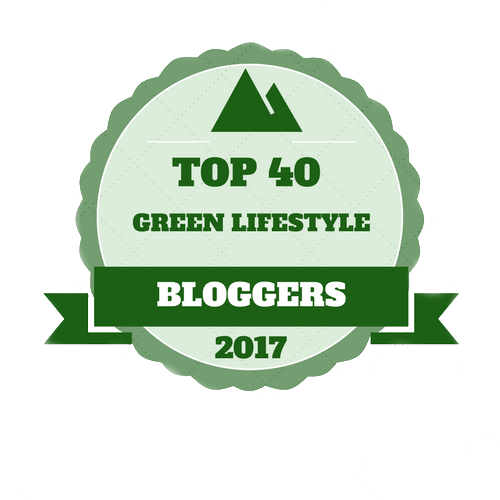 Louie Spencer is a blogger who enjoys writing articles about a green environment. He is very conscious about energy saving and explaining to people how to conserve energy with 12 vdc power supply and other energy saving supplies. The responsibilities of a teacher in the classroom stretch beyond the education and safety of students. They have to consider environmental concerns to run an Eco-Friendly Classroom. You have the attention of students on a day to day basis; they watch your every move. Therefore, it is important that you implement energy saving practices like turning off lights and recycling products, which sends students a positive message about helping the environment. Whether it is a big or small change for you, running a greener classroom is easier than you think. Here is my compilation of top tips for recycling in the classroom setting. Small-scale recycling facilities should always be available in the classroom. Paper and aluminium can waste bins, with clearly visible labelling, should be placed near the teacher's desk, so that teachers can encourage correct recycling of materials. Why not give a student the job of being ‘class recycle monitor'? This person could make sure that people are recycling correctly and can be rewarded at the end of a week’s service. With the encouragement to bring a drink of water into classrooms in place, teachers should persuade students to buy a reusable bottle instead of throwing away a shop-bought branded bottle. One of my favourite eco-classroom tips is to use fabric to cover display boards rather than sugar paper. They never fade in the sun and you can pull the staples out of them easily. The Fabric can be used over and over again, completely removing the paper waste aspect. As these boards often have student's work on them, ensure their work is returned to them or correctly recycled, instead of throwing it away after it is taken off the display board. Saving all sorts of items such as toilet rolls, egg boxes, milk bottles, water bottles and boxes can be beneficial to your school's art class, where there is frequent use of these sorts of materials for making collages and working with papier mâché. Having a large supply of these materials ready to use at a moment's notice means that no wild and creative idea a student has will go unfulfilled. Lastly, take your students outside as much as possible. It is said that getting in touch with nature increases the desire to protect and sustain it. Although students may at first seem to be off-task outside, after a few lessons they will become used to it. Alternatively, use the promise of the outside classroom as a reward for good behaviour. Getting creative with eco-friendly practices in schools is must. By rewarding children in class for their excellent recycling skills, you may well inspire students to take their eco-friendly attitude back to their homes and spread the message to their families. Do you have a particularly effective way of recycling that can be implemented classrooms? Do let us know! Emily Jarvis has completed work experience in secondary and college school environments, bringing forward the gained knowledge of eco-friendly classroom practices. She translates this knowledge through writing for Classroom Carrots. Are Businesses Doing Enough To Be Green? As more and more people are slowly waking up to the idea that climate change is real and a major world issue; it’s important to ask whether the businesses that we all use on a daily basis are doing enough to operate in a sustainable way and persuade their consumers to act more responsibly too. There are a lot of new initiatives being put in place by companies to show that they are stepping up and taking this issue seriously, but are they really doing enough? Is it enough to emblazon the fact that you are reducing carbon your carbon footprint on the side of your lorries or has it reached the point where we need more action than that? Perhaps companies should have to release real evidence that this is the case instead of simply claiming it to so. It’s all very well that businesses are playing their part but we need actions rather than words. So what are businesses doing to prove that they are taking environmental issues seriously? Well the widest spread initiative and one that is very prominent from a consumer point of view has to be carrier bags. Many companies have now started charging for plastic bags and have given their customers many more options when it comes to ‘bags for life’. There has also been a push on making these bags more marketable and desirable for the people using them. I can’t help thinking that an extra step is needed though. There are still so many one-use bags being produced, serving their limited purpose and then being discarded (irresponsibly I might add). Surely it would make more sense to do away with these all together, forcing consumers to use reusable bags or face an elaborate juggle back to their car. Other initiatives by the big brands include Coca Cola’s water safety schemes, EBay’s consistent focus on recycling in local communities and Ford, who have highlighted no less than 10 reasons why they consider themselves to be sustainable. However, it did take a bit of research to discover these, so is that a PR issue or are these initiatives really having as much impact as expected? Another area in which we have seen a lot of change in recent times is product packaging. In previous years companies have come under scrutiny for their use of unnecessary amounts of packaging as well as the use of large amounts of unrecyclable materials. However things are gradually changing for the better and we can now see a new line of more sustainably packaged products gracing our supermarket shelves. Not only are products now being encased in less packaging but we are also seeing new materials being used and new ways of packaging products being introduced. For example, British supermarket Waitrose have just entered into a scheme which will look at how Welsh ryegrass can be used to create responsible packaging; something that could prove a major breakthrough in years to come. Similarly, tin companies all over the world could soon be using a new type of packaging called the Pressitin that reduces carbon emissions during production due to the fact that it doesn’t require a machine for it to be sealed. It is also infinitely recyclable and tamperproof. However, the problem arises when you look at how products that are packaged in this way are being sold. Can businesses really say they are doing enough to be green if they are charging consumers more for products that are responsibly sourced and enveloped? Evidently it is not just the businesses that are standing in the way of the green revolution as consumers need to take a certain amount of responsibility as well, and there seems to a bit of a tug of war happening on this issue. Companies are of the opinion that if consumers were to purchase ‘greener’ products more often then they could afford to reduce the prices on these but consumers see it as a case of the products not needing to be so highly priced in the first place. If I refer back to the earlier point regarding plastic carrier bags then there is further evidence of the need for consumers to embrace environmental issues more. It is easy to say that businesses shouldn’t be offering plastic bags so readily but it is us as consumers that are freely choosing to use them when there are clearly other more responsible options available. If green living continues to not be fully ingratiated by the consumer in this way then initiatives are going to be harder and harder to introduce. At some point the tug of war needs to evolve into a more co-operative approach. Chris Mayhew is doing everything he can to live a green life but wonders whether the businesses we use every day are doing the same. He loves the idea of the Pressitin from Tinware Direct as a great way to package products. Charities have saved the world for wildlife; for the native fauna and flora. We are reminded daily about global climate change and its effect on our world. From the common plants and animals to the exotic; we are losing species at an alarming rate. The picture of a polar bear clinging to a floating piece of ice spread throughout the internet like a wildfire. Charities whose missions include the protection of animals and the natural world include the World Wildlife Fund. Their Giant Panda mascot is recognised worldwide. They have focused on our environment since 1961, promoting conservation, restoration, and research. From large organisations to small organisations, the message is the same. We are losing animal and plant species throughout the world. The Aspinall Foundation's concerns extend to the loss of habitat, poaching, and pollution. Their Kent based Howletts and Port Lympne Wild Animal Parks offer a variety of programmes including a Student Environmental Enrichment Course, now in its 15th year. Their activities extend beyond their Kent based Howletts and Port Lympne Wild Animal Parks to projects in the Republic of Congo, Gabon, Indonesia, and Madagascar. Birds have no boundaries, their habitats extend beyond countries. The Royal Society for the Protection of Birds (RSPB) recognises that the need for bird conservation has never been greater. The RSPB knows that internationally and in England, Northern Ireland, Scotland, and Wales; major threats to birds exist because of climate change, growing urban areas, increased agricultural areas, and transport infrastructure. Our environmental issues have one common denominator: people. People are the key to solving these problems. Opening the world by giving mobility to sight impaired individuals through guide dog programmes is Guide Dogs. A Lance Corporal, whose eyesight was lost in Iraq, has plans to climb Everest and visit the North Pole. He runs with his guide dog at his side. Greenpeace wants to change the world through people. Founded in 1971, they are in 40 countries. They do not solicit funds from corporations, governments, or political parties to remain independent. There are 2.8 million supporters in the 40 countries. Greenpeace promotes nonviolent, direct action to bring change. People supporting Greenpeace are working on climate change and protecting biodiversity while promoting equitable and sustainable development. Charities are saving the world for wildlife. The international World Wildlife Fund and Greenpeace organisations promote their global missions differently, but do not lose sight of the goal of saving the world for wildlife. Raising awareness among citizens of the plight of animal welfare issues, specifically those animals that become endangered is something that we all must do. One way to take a step in the right direction is to consider adopting an animal online, a number of charities offer virtual adoption schemes where for a small monthly fee you will adopt an endangered animal. Your funds will go towards helping the organization to manage programmes designed to protect the welfare of the animals in the habitats that they live in throughout the world. Christopher Seale is a freelance journalist who loves animals. He writes for the charity and travel sectors, and his other interests include traveling. When you think of green marketing, the sport of stock car racing probably isn't the first thing that pops into your head. Heck, it probably isn't even the millionth thing you would think of pondering the state of modern corporate green initiatives. NASCAR, the largest automotive racing venture in North America, is working hard to change that image. Started in 2008, NASCAR Green is an effort by the sport’s largest sanctioning body to address the environmental issues that arise from putting on each race. The biggest NASCAR races attract more than 100,000 spectators. The biggest races produce as much as 100 tons of recyclable waste. NASCAR vehicles churn out a lot of carbon dioxide, the gas most commonly identified with global warming. The cars themselves are notoriously inefficient. The average NASCAR vehicles get between 4 and 5 miles per gallon of gasoline consumed. That means a 43-car field can burn through as much as 4,300 gallons of fuel during a 500-mile race. NASCAR has turned to use E15 fuel from Sonoco to reduce some of the impact. NASCAR Green is also working with the Arbor Day Foundation to plant thousands of trees to offset the CO2 emissions from stock car races. NASCAR Green has also been looking to more exotic solutions on a longer timeline. The stock car association has worked with Sunoco to increase the amount of ethanol used in racing fuel. And there has even been talk of integrating solar-power solutions. Racing venues are also increasingly turning to solar power to provide clean electricity. Pocono Raceway in Pennsylvania is host to over 40,000 solar panels. NASCAR Green, however, tries to focus on more immediately applicable solutions. NASCAR recycles all the tires used during each race. Batteries and fluids are also aggressively recycled. NASCAR says that some racing teams are achieving as high as 96% recyclability of the entire vehicle. NASCAR also works hard with venues and suppliers to ensure as much of the waste produced by crowds at the races is recycled as possible. Race fans produce between 70 and 100 tons of recyclable waste over a single NASCAR weekend at the track, mostly from plastic bottles, aluminum cans and cardboard containers. At Fontana Speedway in California the solution is simple: there is a recycling plant right next to the track that handles everything. NASCAR also works with companies like Coca-Cola Recycling to co-ordinate efforts to handle the garbage from crowds. NASCAR tries to encourage recycling among the infield camper crowd that is distinct to its audience. Each NASCAR weekend, the infield of the current cup series race becomes one of the largest campgrounds in the United States. NASCAR Green provides curb-side recycling pick-up in the infield to ensure recycling among campers is easy. The service is provided by a mobile processing unit pulled by a clean diesel rig. NASCAR is continuing to work toward a green future. While the racing venture may not be the first corporation that comes to mind when you think green, NASCAR is fighting to change that perception. It continues to push venues and racing teams to improve their green efforts. NASCAR’s goal is to be the largest green initiative in all of sports. Jade Steven has been a green blogger for 2 years now. She enjoys talking about green living, the benefits of a 24 volt dc power supply, and different ways you can save money while saving the world.